Brian Hengesbaugh provides advice to a wide range of global online businesses, pharmaceutical companies, health care providers, manufacturers, financial institutions, sourcing providers, retail companies, and other organizations regarding the legal aspects of global privacy and data protection, data security, information technology, and related restrictions on data collection and movement. He focuses on these issues in the context of: data security breach and incident response, global company operations and applications, including websites, mobile, and e-commerce applications; sourcing and corporate transactions; and litigation, internal investigations, and government inquiries. 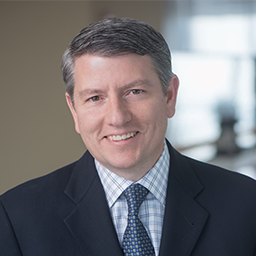 Brian is Chair of the Firm's Global IT/C Data Security Steering Committee, and a Member of the Firm's Global Privacy Steering Committee. He is listed in The Legal 500 Hall of Fame and was recognized as a Regulatory & Compliance Trailblazer by the National Law Journal. He is also listed as a Leading Lawyer for Cyber law (including data protection and privacy) in The Legal 500, listed in Chambers USA and the Computer World Ranking of Top Privacy Advisors. Formerly Special Counsel to the General Counsel of the US Department of Commerce, Brian played a key role in the development and implementation of the US Government’s domestic and international policy in the area of privacy and electronic commerce. In particular, he served on the core team that negotiated the US-EU Safe Harbor Privacy Arrangement (Safe Harbor), and earned a Medal Award from the US Department of Commerce for this service. In addition, Brian participated on behalf of the United States in the development of a draft Council of Europe Treaty on Cyber Crime, and in the negotiation of a draft Hague Convention on Jurisdiction and the Recognition of Foreign Judgments. Brian has been quoted in the Wall Street Journal, New York Times, Forbes, CNET, Slate Magazine, Compliance Weekly, BNA Bloomberg, PCWorld and other news publications on global privacy and security issues. Brian is CIPP/US certified and a former member of the IAPP Advisory Board. Why are more companies joining the EU-U.S. Safe Harbor privacy framework?